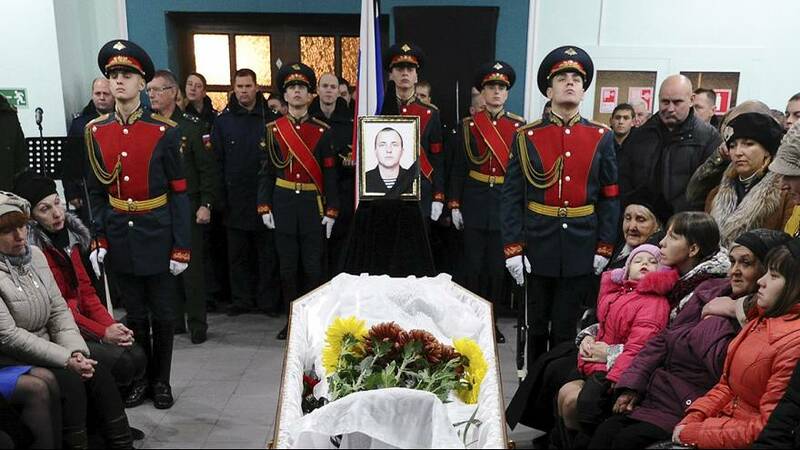 A Russian marine killed by rebels in Syria has been buried in his native town of Novocherkassk. Alexander Pozynich, 29, was on board a helicopter taking part in a search-and-rescue operation to save pilots whose Su-24 fighter plane had been shot down by Turkey on Tuesday. Rebels downed the helicopter with small arms fire before destroying it. Pozynich was awarded the Order of Courage posthumously. Hundreds of people attended the memorial service.